Marc talks about what happened on this day in history, including the day the US Congress passed the Judiciary Act, the birthday of abolitionist Frances Ellen Watkins Harper, and the day sociologist Edward Franklin Frazier was born in Baltimore. 1664 – New Amsterdam is surrendered to the English by the Dutch. Charles II desired the colony for England as a gift for his brother James, Duke of York and Albany; and for the colonies sizeable and profitable fur trade. On the 27th four English warships carrying roughly 400 soldiers arrived on the shores of New York bringing an order on behalf of the king. The orders was brought to Peter Stuyvesant the Dutch governor of the New Amsterdam. Stuyvesant was defiant at first but eventually accepted and and surrendered the territory, swearing allegiance to the British Crown. 1789 – The Judiciary Act is passed by the United States Congress, creating the US Attorney General and orders the composition of the United States Supreme Court. Officially titled “An Act to Establish the Judicial Courts of the United States”. The Act was signed into law on this day by President George Washington, and though it has been amended many times since 1787; the original outline for the court system remains largely in tact. 1906 – President Theodore Rossevelt proclaims Devils Tower in Wyoming as the nation’s frist National Monument. The monument had been known and celebrated by Native Americans for hundreds of years. The legend, which has been celebrated by the Crow, Kiowa, Apache, Cheyenne and Sioux, tells of seven little girls who were out playing when they came across a grizzly bear. Coming to the realization that they would never be able to out run the great beast, the girls took refuge in a rock and prayed to the Great Spirit for protection. Their prayers were answered as the rock began to grow around them. Higher and Higher the rock grew, reaching the sky. The striations on the side of the tower were formed by the bear it jumped and clawed at the rock trying to reach the little girls. The Native name for Devil Tower is Mateo Teepee or Grizzly Bear Lodge. 1932 – Gandhi and Dr. B.R. Ambedkjar agree to the Poona Pact, which reserved seats in the Inidan provincial legislatures for the “Depressed Classes”. 1957 – Brooklyn Dodgers played their last game at Ebbets Field. They move to Los Angeles the folowing year. 1962 – Mississippi governor Ross R. Barnet issued a proclamation for all state officials to prevent and obstruct the any enforcement of the courts decisions to admit James Meredith into the University of Mississippi. 1965 – President Lyndon B. Johnson signs Executive Order 11246, which charged the Seceratary of Labor the uphold the Civil Rights Act of 1964 and Executive order 8802 (submitted by FDR to prohibit the discriminatory labor practices based on race, religion, nationality) and ensure equal opportunity employment within the federal government. 1. Each State Party undertakes not to any out any nuclear test explosion or any other nuclear explosion, and to prohibit ad prevent any such nuclear explosion at any place under its jurisdiction. 2.Each State Party undertakes, furthermore, to refrain from causing, encouraging, or in any way participating in the carrying out of any nuclear weapon test explosion or any other nuclear explosion. The United States is one of the countries that have yet to ratify the treaty citing, inter alia: that the treaty is ultimately unverifiable; treaty is dubious to enforce; stockpiles in the US would not be safe or reliable with out testing. 1835 – Frances Ellen Watkins Harper, abolitionist, supporter of women’s suffrage and poet was born on this day in Baltimore, MD. 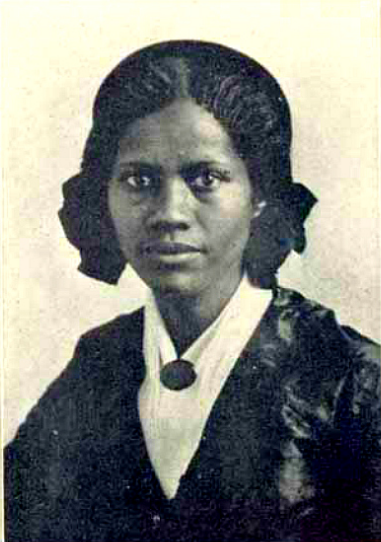 She joined the American anti-slavery society in 1853 and became a lecturer with the group, traveling around the country and spreading the message of equality. in 1897 she was elected to the position of Vice President of the National Association of Colored Women. 1931 – Claudis H. Collins, the first African American woman to represent the Midwest in Congress was born on this day in St. Louis, MO. 1936 – Jim Henson, American puppeteer, inventor and artist was born on this day in Greenville, Mississippi. He was raised in MD, where he earned his degree in home economics from the University of Maryland, College Park. He founded the Jim Henson co. in 1958 and worked on commercials and small theatre projects before he joined Sesame Street in the 70’s. He would stay on with Sesame Street for over 20 years creating memorable characters that were funny, scary, bold and brave. His work on Sesame Street earned Henson the recognition that allowed him to go on branch out into film and television. His work touched children and adults alike and the popularity of the Muppets say the creation of the Jim Henson Creature Shop, the Muppet Show and a slew of movies like Labyrinth, The Dark Crystal and multiple Muppet tv series and films. Henson died in 1989 and his funeral was described by Life Magazine as “epic and almost unbearably moving”. 1954 – Fashion designer , Patrick Kelly was born on this day in Vicksburg, Mississippi. 1988 – Bobby McFerrin’s ‘Don’t Worry, Be Happy’ become s the first a cappella song to it No.1 on the Billboard Hot 100.